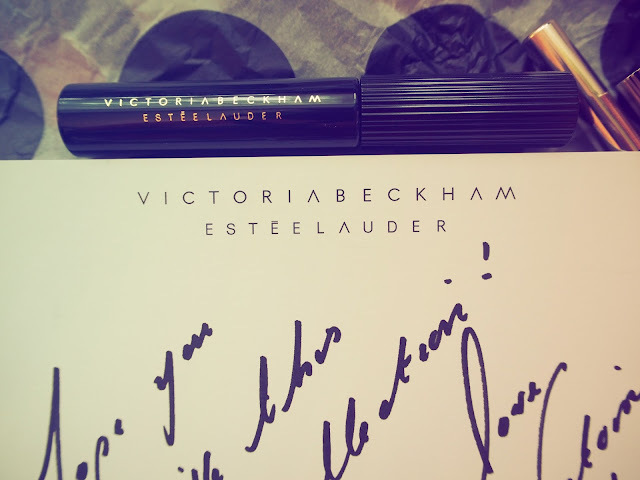 Prepare yourselves for an onslaught of all things Beckham/Lauder next week as Victoria Beckham launches her new Limited Edition range with Estee Lauder. Safe to say, from what I’ve seen so far, it’s a knockout. No BS. This is no ‘take what we have off the shelf and stick a designer name on it’ range. Aesthetically it may be the best ‘designer’ range I have ever seen. 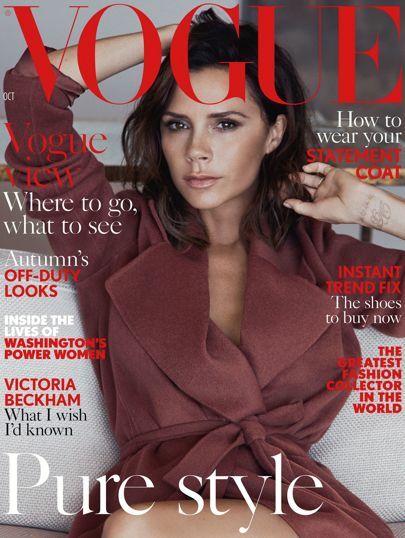 VB knows exactly what she is doing. The packaging is, with one exception, spectacular. I do not use that word freely. The compacts are heavy, really heavy. Gold with ribbed leather, they have the very satisfying ‘clunk’ when closed, and feel like my Grandmother’s compact collection from the 1950s. When the marketing says that Victoria has been collecting them for years, I believe it. I do the same and these are reminiscent of ones I have in my stash. They are to my mind, unique on the market at the moment. One skincare/makeup hybrid, two face products, seven eye, four lip (at my counting!). 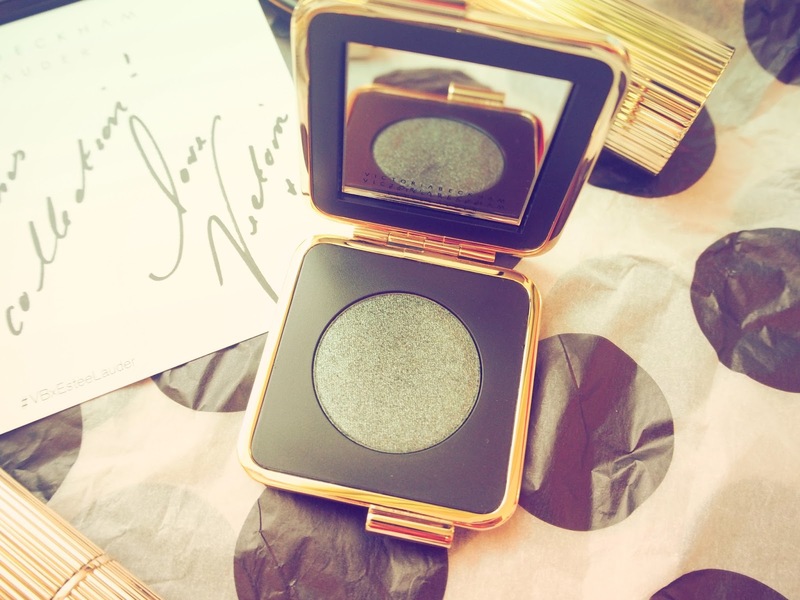 The eyeshadow powders – Eye Metals – are beautifully pigmented and super-soft. Colours are gold and metallic blackened green. The Kajal Duo is pretty near as perfect a smoky liner that I’ve come across. The lipstick packaging is the only blip for me. It’s super-lightweight, insubstantial and doesn’t sit with the rest of the range. No ‘clunk’ here. Obviously my main interest is in the Morning Aura Illuminating Creme. Part moisturiser, part primer, it contains micro-pearls to brighten and illuminate the skin. 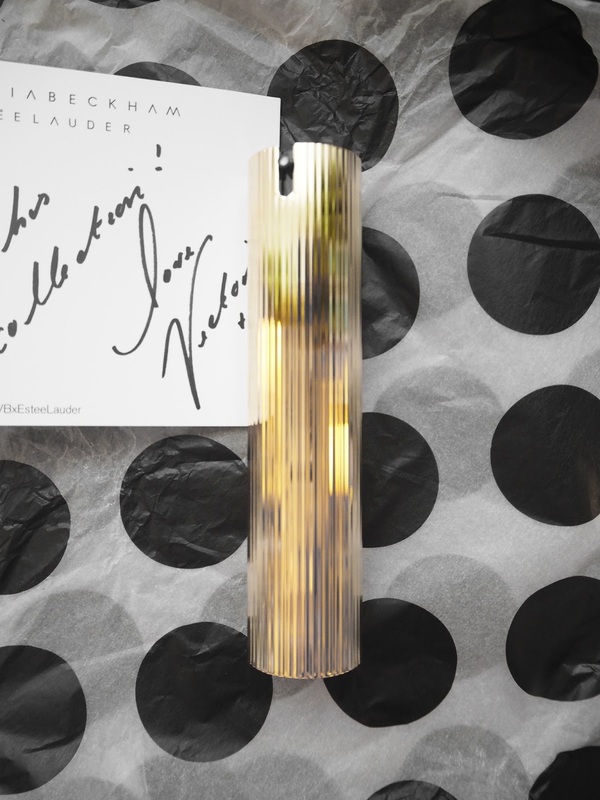 At £68.00, I won’t be using it on my legs a la VB in this month’s Vogue, but I will be smothering my face in it tout de suite. I’ll feedback with comparisons on all things glow in upcoming reviews. This is supposed to be a Limited Edition collection, but far too much time, thought and money has gone into this for it not to become a permanent collection. Watch this space. I was too old for The Spice Girls and the only thing that Victoria Beckham designs that would fit me are handbags and scarves. Until now. Bravo. 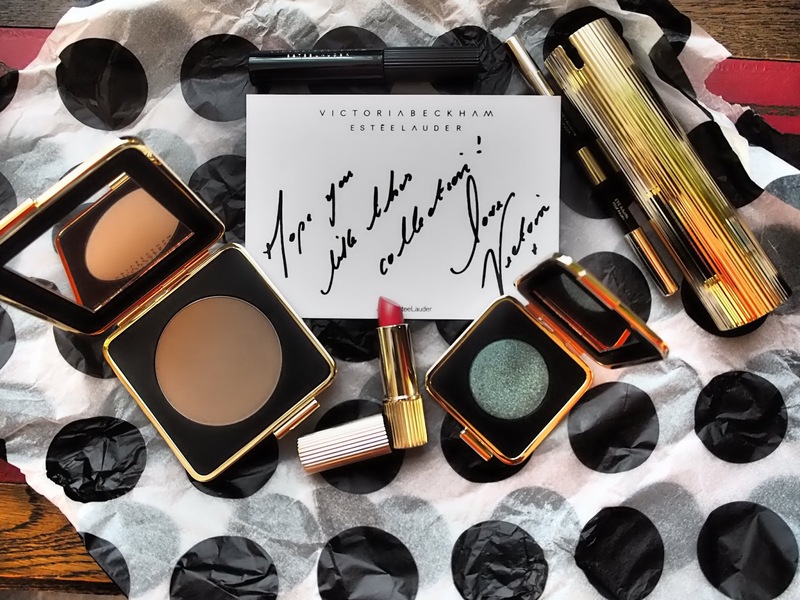 Victoria Beckham x Estee Lauder is available from September 13th exclusively from Selfridges, Estee Lauder online and VictoriaBeckham.com and prices range from £22.00 to £68.00. Previous Post PIXI Skintreats Anniversary and the return of Glow Mud Cleanser!